Phlebectomy is a minimally invasive treatment to remove large varicose veins, a condition that’s common in older individuals. Phlebectomy (also known as an ambulatory phlebectomy, stab phlebectomy, vascular surgery or micro-incision phlebectomy) is a minimally-invasive treatment for the removal of varicose veins. Generally, individuals who are great candidates to undergo a phlebectomy include those who are experiencing large leg veins greater than the width of a finger. Because unwanted varicose veins can often cause a variety of circulation problems, patients often seek the help of an expert dermatologist who can remove the veins altogether. Our doctors perform phlebectomies under tumescent anesthesia, a technique which delivers local anesthesia directly to the veins being removed. During a stab phlebectomy in San Diego, your doctor will remove unwanted varicose veins through incisions placed directly above the veins. These special incisions, which are usually smaller than a half centimeter, allow for the surgeons to easily find and remove the large veins. In many cases, a minimally invasive stab phlebectomy may be combined with less invasive measures including sclerotherapy or CoolTouch CTEV laser treatments to bring the patients the best possible outcomes. 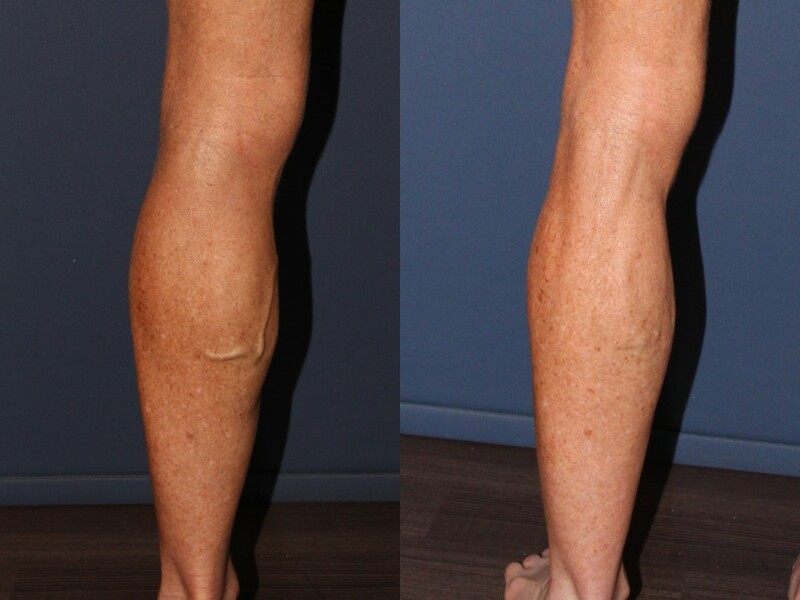 A micro phlebectomy is performed for individuals who wish to remove large and unsightly varicose veins. During this procedure, out vein specialists remove the veins through an extremely small opening, making healing and recovery very easy for the patient. After undergoing a micro phlebectomy at Cosmetic Laser Dermatology, a patient can notice an immediate improvement with little downtime. As with other types of phlebectomies, it is still necessary to follow the postoperative guidelines provided by your surgeon and to wear compression stockings as instructed. At Cosmetic Laser Dermatology in San Diego, Dr. Mitchel P. Goldman and Dr. Sabrina G. Fabi are experts in the performance of leg vein treatments and are considered vein specialists, also known as phlebologists. Both are highly esteemed board-certified dermatologists and diplomats of the American Board of Cosmetic Surgery, meaning they have the highest level of insight possible to perform the procedure in a safe and effective way. After your phlebectomy procedure, you can return to your normal, everyday activities almost immediately, though we typically recommend that you abstain from engaging in any strenuous physical activities (such as sports) for the first week after treatment. In some cases, patients experience mild bruising or discomfort, but this typically resolves within 1-2 weeks after your procedure has been performed. Q: What is the difference between a phlebectomy and sclerotherapy? A: Sclerotherapy is a series of non-invasive injections to the root veins feeding spider veins. 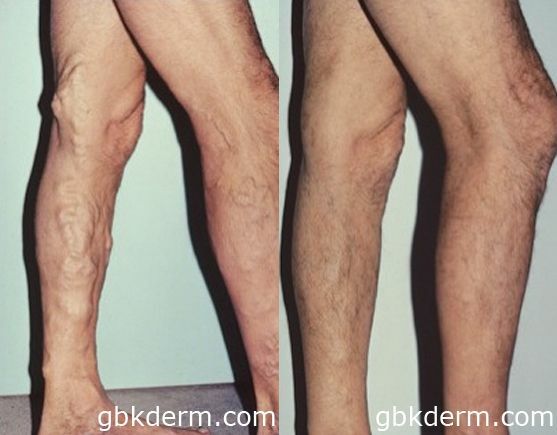 These injections spread medicine throughout the veins causing their diminishment. When veins are larger than the width of a finger, a person will need to undergo a phlebectomy, which is a minimally invasive procedure to surgically remove the varicose veins. Q: Who should perform a phlebectomy? A: A doctor who is board certified in dermatology and who is a diplomat of the American Board of Cosmetic Surgery should always perform a phlebectomy. These individuals have the highest level of training to do so. At Cosmetic Laser Dermatology, Dr. Goldman & Dr. Fabi can perform phlebectomies with extreme precision and effectiveness. Q: What is the recovery time like after a phlebectomy? A: Following a phlebectomy, the patient may notice slight bruising, discomfort, and swelling, though this will subside in the coming weeks. It’s important to stay active and to avoid sitting for long periods of time. Your doctor will further expand on your post-operative guidelines before every undergoing the procedure. Q: Will I notice an immediate improvement in my bulging blue veins? A: Because the spider veins are physically removed during the procedure, it’s common for patient to notice a difference right away. However, until bruising, swelling, and any redness subsides, optimal results will not be able to be seen. After just a few weeks, patients will be compression stocking free and able to show off their new and improved legs. Q: Are multiple phlebectomies required? A: In most cases, our board certified dermatologists are able to remove the leg veins in one minimally invasive procedure. Should a patient develop additional bulging veins in the future, further treatments may be required. A: Varicose veins develop when blood flows backwards in veins due to blocked or clogged passageways. 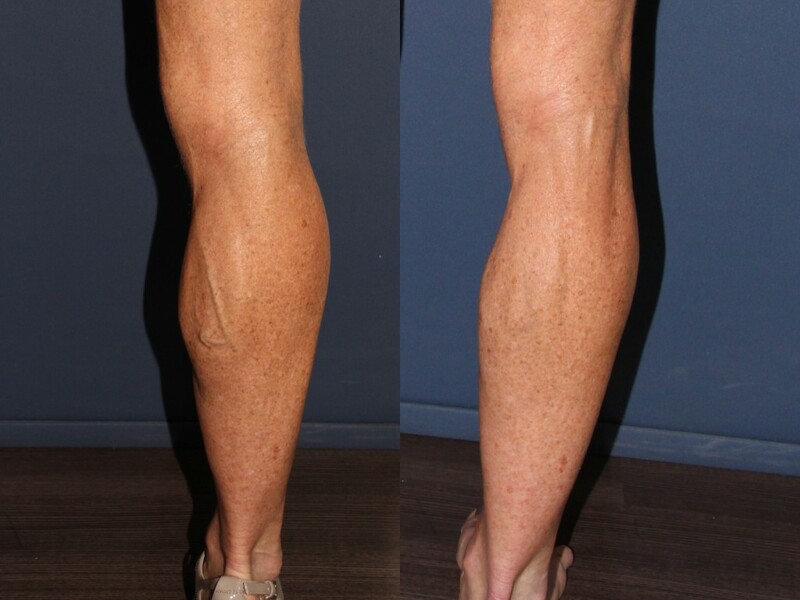 Varicose veins are not medically necessary, meaning they can be removed without doing any damage on your body.